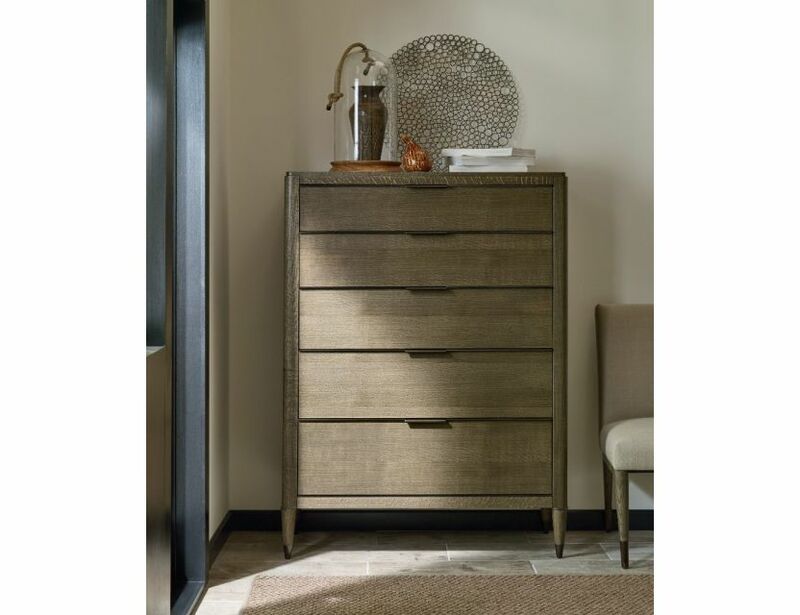 Maxwell drawer chest is a great addition to any bedroom. 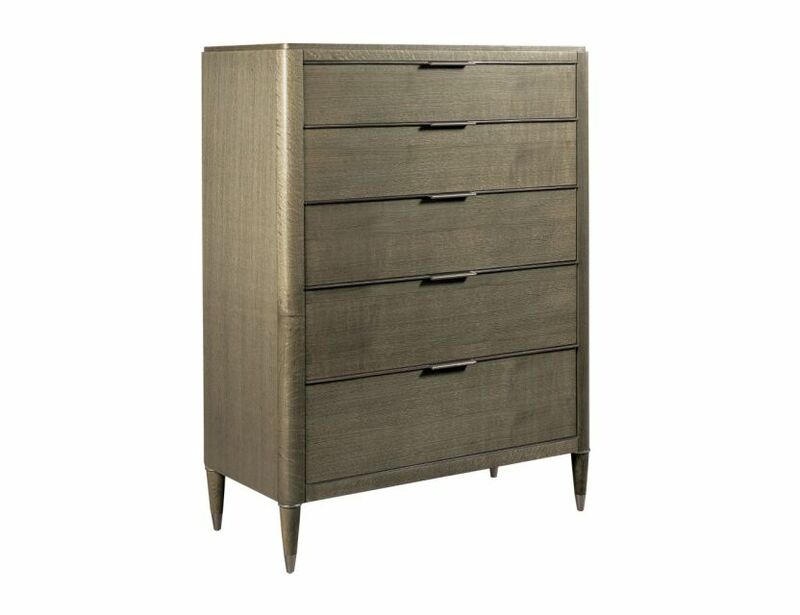 Drawer chest is scaled for smaller footprint but tall for maximum of storage. 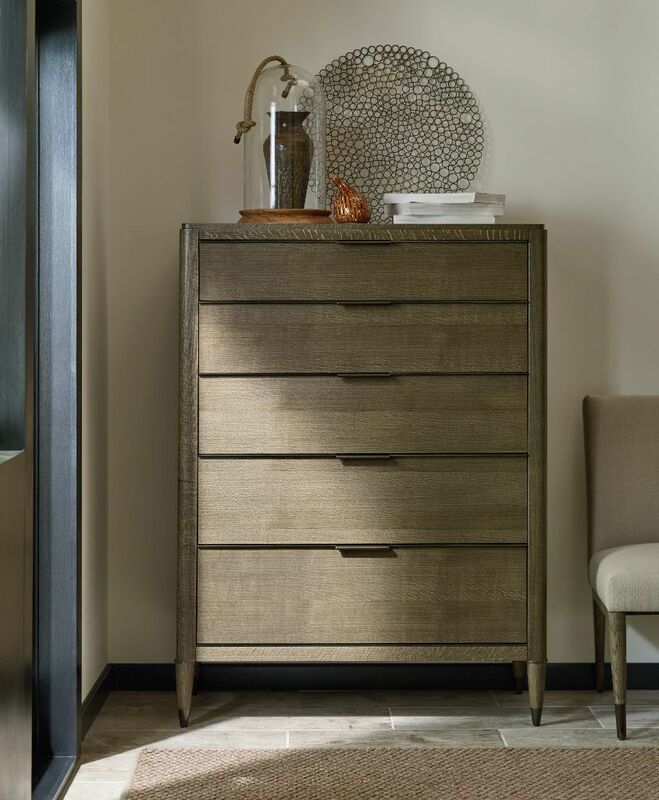 Five drawers with bottom one cedar lined and bronze nickel trim and hardware finish out the look with the tapered legs.